Scientists have discovered at least TWO sunken continents on Earth. The discovery of these continents has changed the way we look at Earth’s history, offering new evidence which many authors have interpreted as material which points to the fact that the mythical continents such as Lemuria, Mu, and Atlantis were real. Most of us are familiar with the legends of Atlantis, Lemuria, and Mu. According to numerous legends and texts, Earth was home to numerous continents which have been ‘lost’ in the distant past. One of them is the continents of Lemuria, a massive landmass which is said to have stretched from India to Australia—before written history. Just like Atlantis, the ancient landmass disappeared under mysterious circumstances and was forgotten by mankind tens of thousands of years ago. During the 19th century, an English geologist called Philip Sclater mentioned the existence of a submerged landmass called Lemuria. In an article—dubbed ‘The Mammals of Madagascar’—written in 1864, Sclater mentioned that lemur fossils were extremely abundant in Madagascar and India, but curiously, these fossils were missing in Africa and the middle East. This observation led Sclater to propose that during one point in the distant past, India and Madagascar were part of a broader continent referred to as Lemuria. There are numerous studies which have proven recently—despite the idea of continental drift—that submerged continents exist on Earth. Recently, scientists have made an incredible discovery east of Australia: A continent which has around 5 MILLION square kilometers, and it’s been hiding in plain sight for AGES. Only a small part of the continent—around 5 per cent—is visible today. Experts suggest that today, only 5 percent of the once-mighty continent is visible, which is why researchers missed it in the distant past. The region is mostly submerged land in the Pacific Ocean and contains both New Zealand and the French overseas territory New Caledonia. “Lemuria” in Tamil nationalist mysticist literature, connecting Madagascar, South India and Australia (covering most of the Indian Ocean). Image Credit. “This is not a sudden discovery, but a gradual realization; as recently as 10 years ago we would not have had the accumulated data or confidence in interpretation to write this paper,” the researchers wrote in GSA Today, a journal of the Geological Society of America. But there is more evidence which hints that submerged continents exist on Earth. If we take a look at an area between mainland India and Sri Lanka, we will notice a curious geological formation. 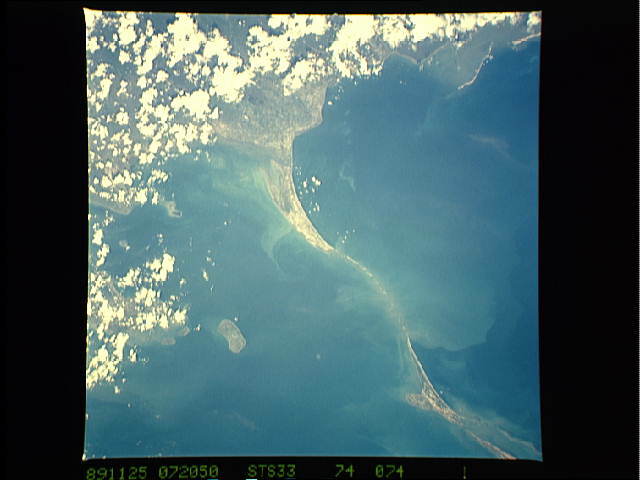 Located in the Palk Strait, in the Indian Ocean, there is a particular geographical area, a thin strip of land that connects the south of India with Sri Lanka. It is called “Adam’s Bridge”. Adam’s Bridge is believed to be the remains of an ancient pre-flood bridge. Possibly, the first ever bridge built on Earth. Furthermore, it is believed that satellite images provided by NASA reveal that what we see could in fact be a collapsed bridge, now partially submerged under the ocean. Dr. Badrinarayanan, the former director of the Geological Survey of India performed a survey of this structure and concluded that it was man-made. Dr. Badrinarayanan and his team drilled 10 bore holes along the alignment of Adam’s Bridge. What he discovered was startling. About 6 meters below the surface he found a consistent layer of calcareous sandstone, corals, and boulder like materials. His team was surprised when they discovered a layer of loose sand, some 4-5 meters further down and then hard rock formations below that. According to Hindu tradition, this “strip of land” is a bridge built by Hindu god Rama, as told in the Hindu epic Ramayana. In fact, since ancient times it is known as the “Bridge of Rama” or “Rama Setu”. The Indian epic Ramayana tells the story of the land bridge and how it was built to serve Hindu god Rama, in order to help him cross the water to reach the large island and rescue his beloved one from the clutches of the demon king Ravana. It is a story of love, brave deeds and incredible constructions as it seems. Rama is one of the most famous manifestations of the Supreme God and is recognized as the image, the spirit, and consciousness of Hinduism, one of the oldest religions in the world. The stories which are many times interpreted as facts of Rama’s life are narrated in the Ramayana, an ancient Sanskrit epic, literally translated to “Rama’s Journey,” which speaks of a time when gods aboard ships (Vimanas) and giants walked the earth. Evidence of the Vimana and the giants have been found across the globe, in different countries. Evidence of lost continents and ancient civilizations? According to researchers, the Lemurian continent separated from the mainland sometime during the Mesozoic era because of the rising waters. Curiously, according to India’s National Institute of Oceanography, sea levels were around 100 meters lower some 15,000 years ago. This resulted in a major flood which eventually led to the disappearance of not only an entire continent but entire civilizations that existed on Earth in the distant past. According to Tamilnet, the continent of Lemuria is referred as “Kumari Kandam” in ancient Tamil literature. Tamil is one of the world’s classical languages. Tamil has continuous historical records for more than 2000 years and the Tamil language was recognized as a classical language in India (beside the other being Sanscrit). Tamil does not belong to the Indo-European language family. “One can imagine the strength and magnitude of the Tidal wave required to devour a mountainous area that had existed in the ancient coastal belt of the Tamil world,” says professor Shanmugathas. 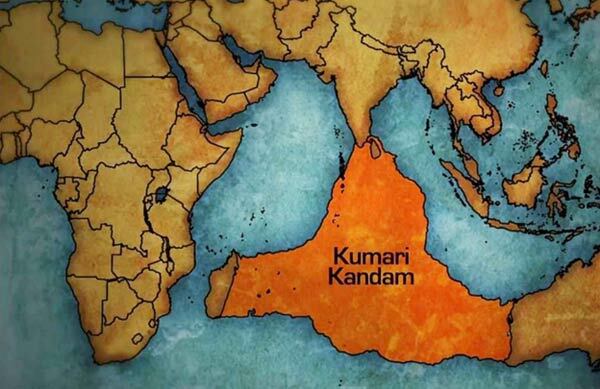 The ancient continent of Kumari Kandam is said to have existed south of modern-day India, now below the Indian Ocean. Its people the Tamil are said to have spread across the world creating other civilizations after Kumari Kandam disappeared. There are several names by which the continents goes depending on spelling it can vary from Kumari Kandam, Kumarikkantam, and Kumari Nadu. The word ‘Kumari Kandam’ was first mentioned in a 15th-century version of the Skanda Purana –the largest Mahāpurāṇa, a genre of eighteen Hindu religious texts— and was written by Kachiappa Sivacharyara (1350-1420). Interestingly, many authors indicate that the people of Tamil belong to the oldest civilization on the surface of the planet and when the continent of Kumari Kandam was lost to the sea, its people migrated to other parts of the planet founding different civilizations. An ancient continent that was once located between India and Madagascar has recently been found scattered on the bottom of the Indian Ocean. According to experts, three billion years ago, a continent covered the ocean where the East African island of Mauritius now lies. Experts came to this conclusion after analyzing small fragments of minerals which date back 3,000 MILLION years. In some of the rocks of the island of Mauritius, home of the republic of the same name, you can find small fragments of minerals that are about 3,000 million years old. This would not have to be important, were it not because the young island, of volcanic origin, is barely seven to ten million years old? So where did the pieces of rock come from, and how is it possible that they are so old? According to experts their origin lies in a “lost continent” located under the island, as researchers from the University Witwatersrand (South Africa) explained in a statement. What do you think? Is it possible that tens of thousands of years ago—perhaps even further back in history, ancient civilizations lived on continents like Atlantis, Mu and Lemuria? Recent studies have proven that in the distant past, Earth’s landmass was much different than it is today, one of the main reasons why numerous authors and researchers argue it’s not ludicrous to think that ancient civilizations like Atlantis existed somewhere on Earth. Was Aztlan –the legendary ancestral home of the Aztec people—Atlantis?